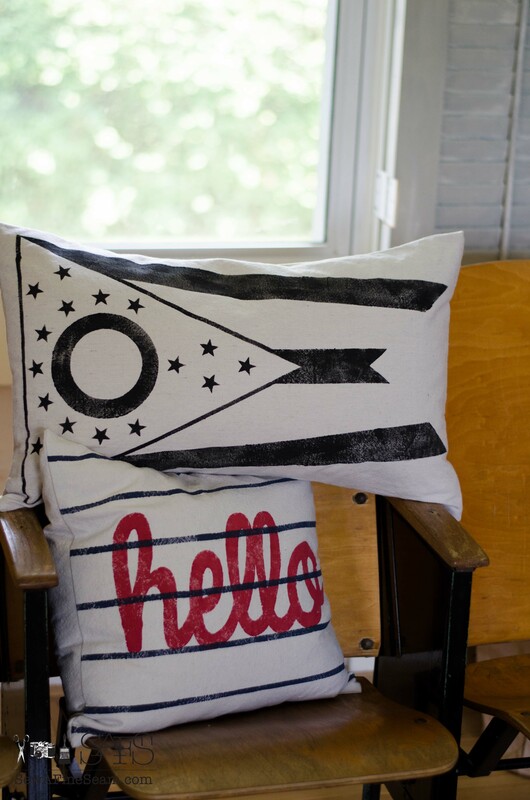 Patriotic pillows are a fun way to bring some summertime color and fun to your decor. With Independence day fast approaching now is the perfect time to make some or buy a few! 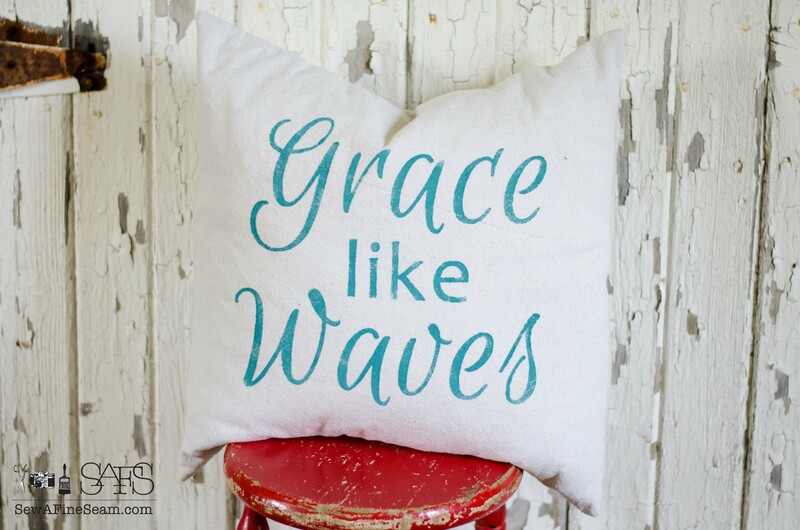 Summer is in full swing, we have been swimming and playing and enjoying a break from school along with vaction Bible school, play dates with friends and all kinds of busy-ness. It’s time for another installment of Dose of DIY today, and our theme this month revolves around patriotism – 4th of July. 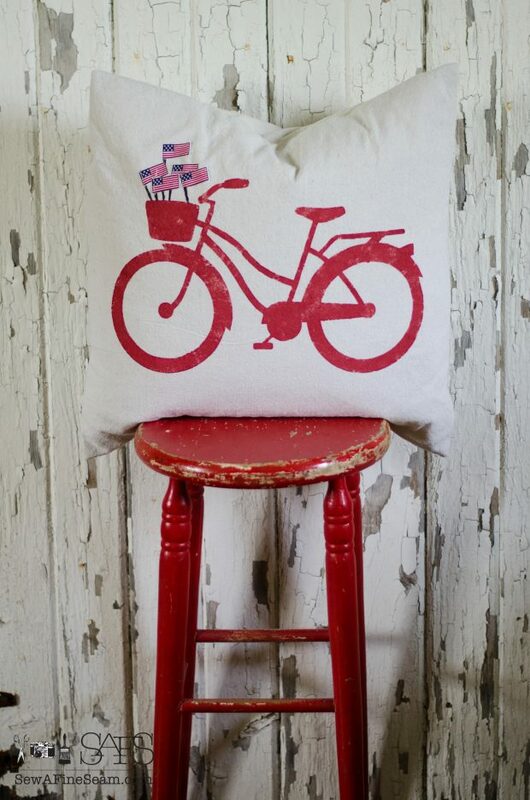 I’m going to share with you my newest pillow designs that celebrate our country and a few that are just plain fun! The bike. Previously done in grey or aqua, this design has donned red or navy and been detailed with a bouquet of flags in the basket. 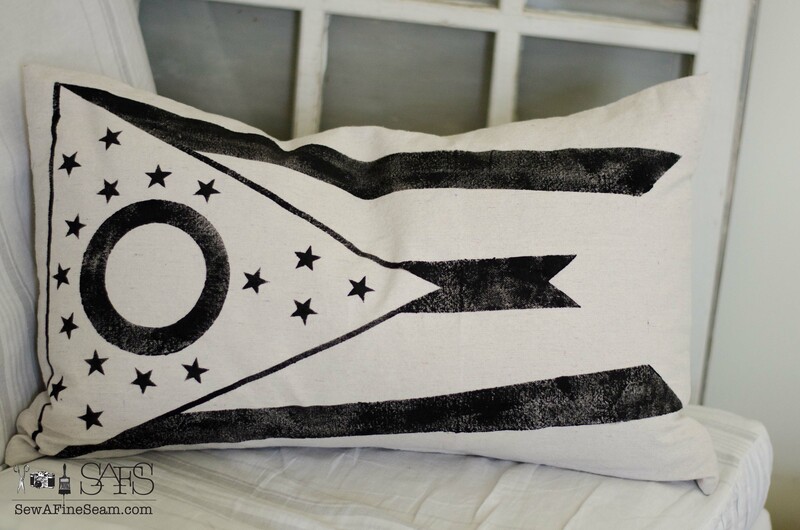 The united states home pillow. 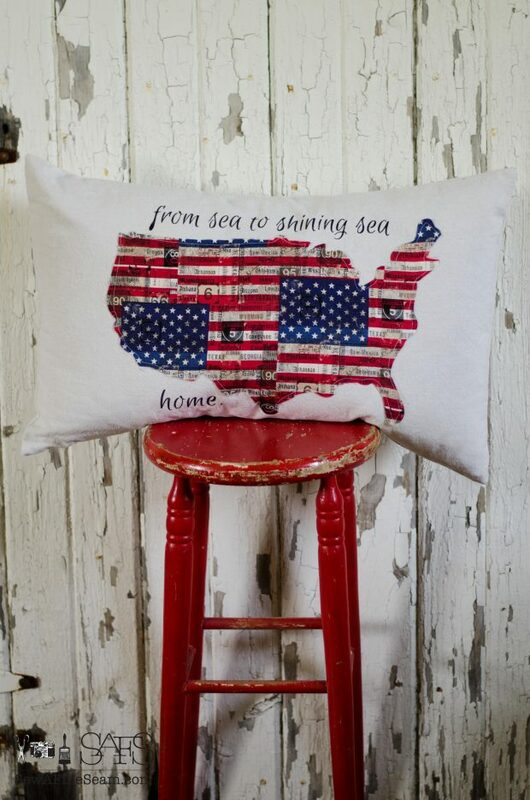 Cut of red, white, and blue fabric and stitched onto canvas, this fun, patriotic pillow has the added phrase from the song – ‘from sea to shining sea’. Another popular fabric choice, I was able to find more fabric like this one that I had available last year. 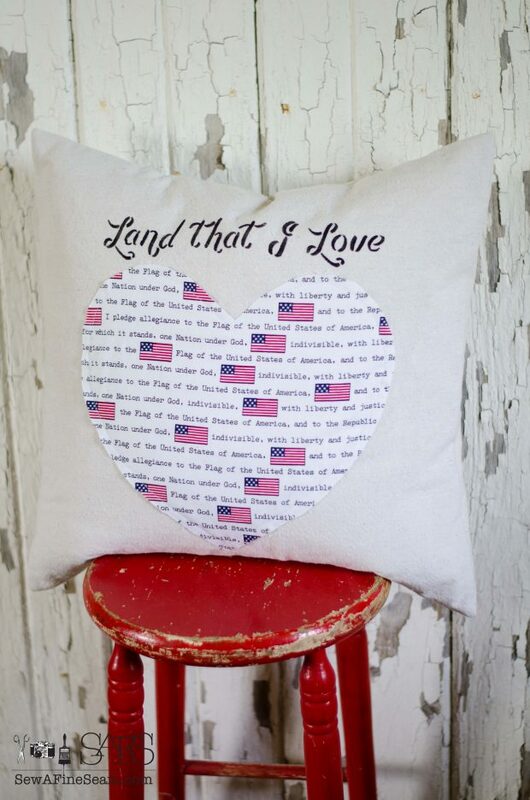 Loving the fact that this fabric has our pledge of allegiance on it. Land that I love is hand stenciled above the heart. Close-up detail of flags in the basket. Hello! The red white and blue of this one has a patriotic, summery, nautical feel! I’m quite taken with this one and very happy with how it turned out. 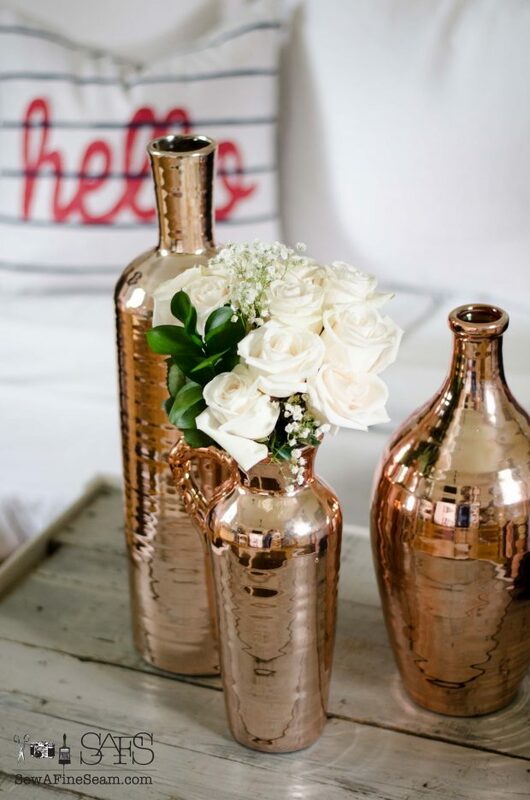 The hello pillow pairs nicely with my new copper vases my Mom gave me for my birthday. Hot off the presses, this one was finished up just in time to sneak it in this blog post. 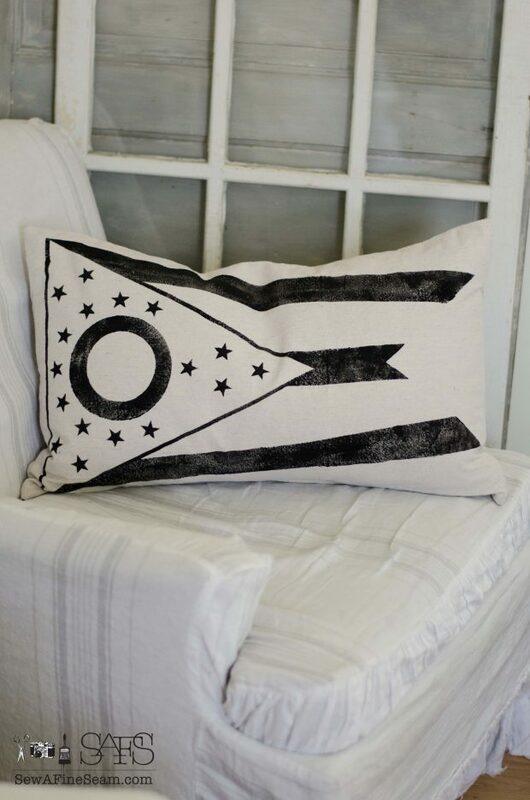 The state of Ohio’s flag in neutrals. I’m working on a colorful one too! I recently bought this set of gym chairs from a local school auction. I love them. They make a wonderful prop for photo shoots! 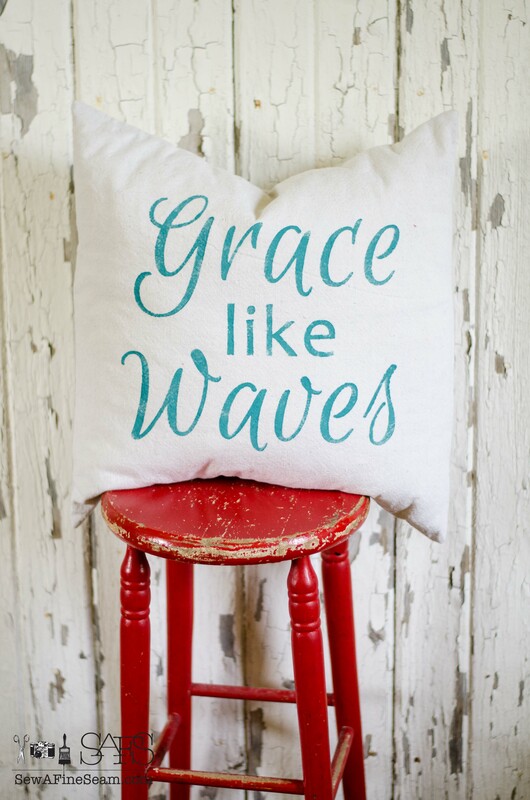 Another new pillow design, while not exactly patriotic, still sings of summertime and all its glorious-ness! Borrowed (with permission) the phrase comes from Creative Carmella and a necklace design of hers. 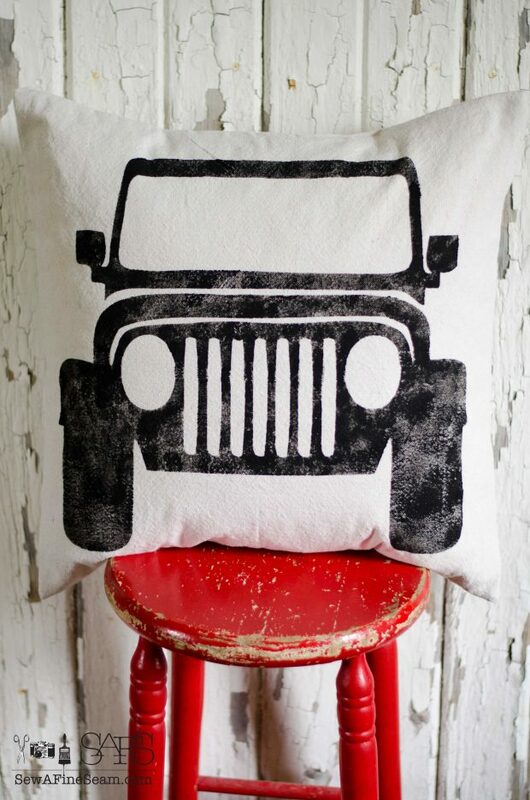 And I created (with the help of my teen who is a techy geek) a jeep pillow! It makes me smile and everyone else is loving it too! If you want to make your own pillow you can find instructions for making an envelope closure pillow here. If you want to purchase a pillow I’ve created you can view my online shop here. To see some wonderful DIY projects go visit my friends! Gah!!!! I want them all! You never cease to amaze me with your talents. I will predict some “out of stock” notices in your shop! All of them are gorgeous. 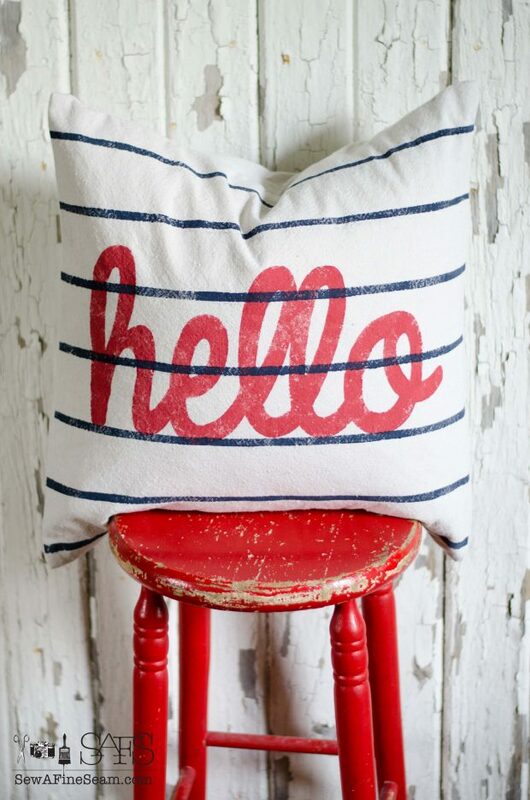 Wow Jill… you are the Queen of Pillows..All of these are so adorable!!! Pinned! Thanks Tammy! Some days I feel like I’m buried in pillows! All of these pillows are lovely, Jill! I especially love the bicycle one with the little flags. Adorable and so festive. 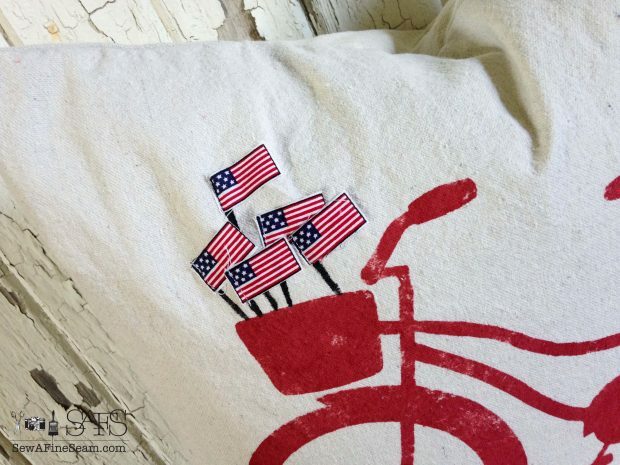 Thanks Step – I love the bike with flags too! 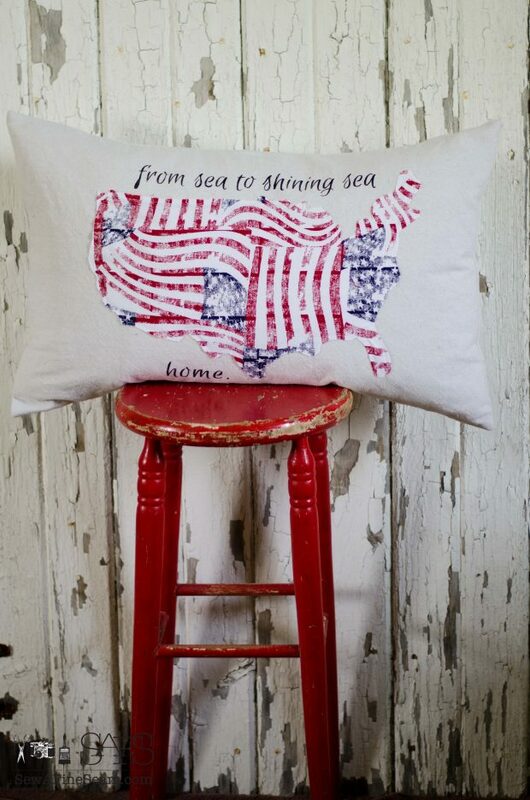 I love that fabric with the pledge of Allegiance and I love the sea to shining sea. I like how the fabric and stripes go different directions on that one. Who am I kidding? I love them all!!! I still adore the Grace Like Waves.